If Parthiban Desingu had jettisoned the first one hour and odd of the two-and-a-half hours and change of Natpe Thunai, we may have had a lovely, moving sports film. But no. Because this is more a Hip Hop Tamizha Aadhi star vehicle, we have Aadhi – as Prabhakaran, an irreverent young man in a small town who wants nothing more than to dance all day and then migrate to France. Till he doesn’t want to, of course, because there’s a girl, a hockey match, a ground to win and an evil politician-corporate nexus to defeat. Along the way, he and his friends will make fun of other women, sing a few songs, beat up a couple of people and mouth some big statements about friendship, unity, and Tamil culture. Natpe Thunai is directed by Parthiban Desingu, his first film. He also gets additional credits for the story, with screenplay writing shared by Srikanth Vasrp and Devesh Jeyachandran. 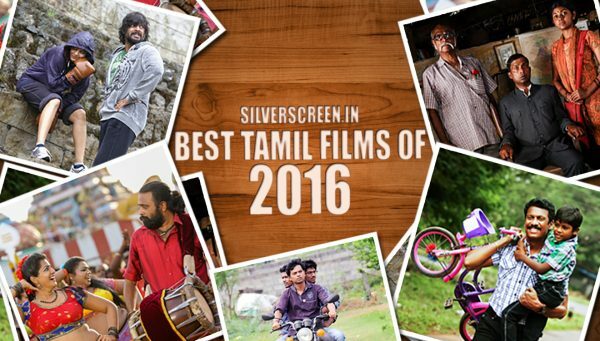 The film stars Adhi, Anagha, Kausalya, Karu Pazhaniappan, Vigneshkanth, Pandiarajan, Harish Uthaman, and a bunch of YouTube stars clearly more popular among barely-out-of-school kids. The film is produced by Sundar C and Khusboo’s Avni Productions, although Adhi also features as creative director. It released today, a Thursday. I saw the film in what was a packed screen at 11.45 AM on a weekday, with kids all under the age of 20 making up the majority of the audience. 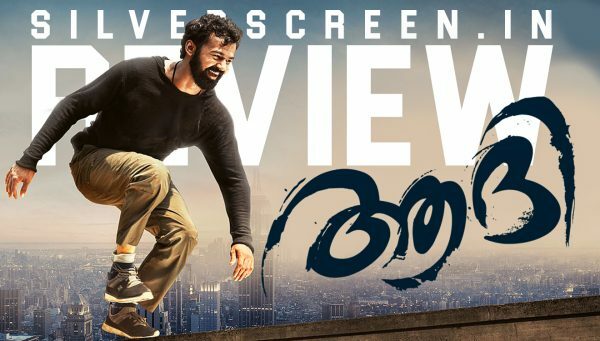 Clearly Aadhi has a following among younger millenials. There was once a dispute between the French and the Tamils in Karaikal, the French colony. And so, like the gentlemen they were, they decided to play a game of hockey to settle it. The Tamils win it, the hero who won the game for them is immortalised and an open playground is forever open to the public. Till 60 years later, another foreign power, an international company with deep pockets – which also has a few local politicians – want control of that ground to build a factory manufacturing medical supplies. The reason they want this ground? It’s right next to a river that empties into the sea, an easy place to dump chemical waste. We know this because the powers that be of the organisation openly discuss this in a board room. Because that’s exactly how corporate boardrooms with multiple stakeholders operate. And so these corporate overlords reach Karaikal and speak to local sports minister Harichandran (Karu Pazhaniappan). After a bit of negotiations, Harichandran agrees to help the corporation but has to figure out a legal way to do it. Aided by a flexible-when-it-comes-to-ethics sports administrator, they arrive at the solution. Prove that the local Hockey team which has use of the ground, is under-performing and is not worth supporting on government funds, thus allowing the land to be leased out. While these machinations are going on, the ground itself is under the care of Shanmugam (Harish Uthaman), an ex-army man now hockey coach. He has under him a group of players who, we learn, have been performing quite well with four or more players being selected every year to represent Pondicherry at the state level games. Into this mix, arrives Prabhakaran (Aadhi). He wants to migrate to France, and as a resident of former French province, and with ancestors who served the French colonial government, he has migration rights. But he needs paperwork and processes to complete, and that can be done only here, in Karaikal. And here, he meets Deepa (Anagha) on the very first day. Deepa is a sportswoman who happens to be Malayali. And so, in a feat that can only be performed by Tamil cinema heroes, he falls in love with her and manages to stalk her till she agrees to maybe let him continue to stalk her. And she does this with a sum total of five words as dialogue. 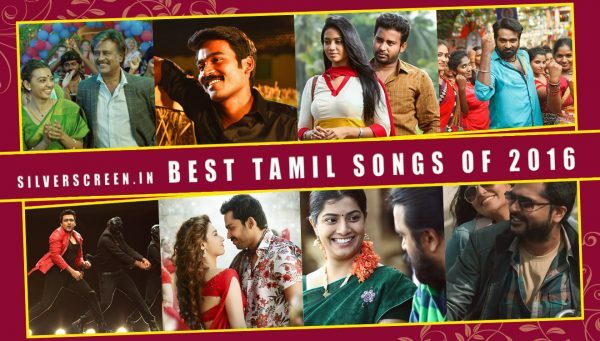 There are a couple of song-dance sequences here because this is, after all, a Hip Hop Tamizha Aadhi Musical. Except, the music is as far from Hip Hop as Pondicherry is from Paris. A completely unnecessary sequence has a few hockey players kidnapping a young woman called Deepa, and so Prabhakaran and his friends have to go rescue her. Except this is a different Deepa and the police – in the form of the real Deepa’s father, arrive on scene to sort out the confusion. At the police station, Prabhakaran’s cousin makes a misogynistic, sexist “joke” on the woman who was kidnapped, and an entire audience of barely-20 year olds laugh loud. But then, this is a serious mainstream film made by a serious production house and directed by a serious newcomer director, with serious mainstream actors who all happen to be mainly men. Of course 90ML is an indecent film while Natpe Thunai is a family film. However, Shanmugam and his assistants have figured out exactly who is behind the attempt at taking over public land, and they decide the only way to fight this is to win a prestigious hockey tournament. And even while they are planning for it, the women hockey players have to be selected for a local match, and so an elaborate scene takes place where Prabhakaran – who apparently cannot play hockey, in fact isn’t even a sporty-type – is roped in to be Deepa’s support player. And in a repeat of Baahubali 2 where Baahubali gaslights Devasena into believing he is not a warrior at all, all the while wielding weapons wantonly, Prabhakaran in Natpe Thunai pulls off a perfect hockey game. And so we go into interval followed by a flashback in which we learn that Prabhakaran is actually Captain Prabhakaran, an international level hockey player who led the country’s Under 19 Hockey team to victory five years ago. We come back from a flashback which involves some inter-departmental and national politics, and mob violence – to present day inter-departmental and local politics, riots, communal disharmony and mob violence. And then it is time for the final match that will decide the future of the ground. By this time, all the women have been relegated to the background and the men can be men deciding what really matters. Two aspects redeem the film. Karu Pazhaniappan as Amaichar Arichandran. Karu Pazhaniappan off screen is a fantastic speaker – witty, fairly well read, and is critical of the powerful and the privileged. 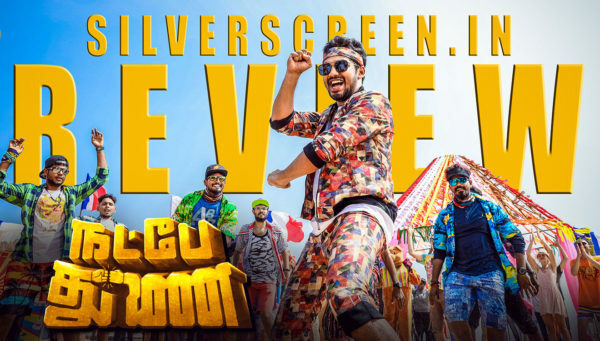 In Natpe Thunai, he plays a powerful and privileged politician pandering to private enterprise. And he does this with his wit intact, half a parody, half an op-ed. The second is the actual hockey match. It is built up well, has enough ‘money shots’ to make it a sports film, has all the trademarks of a sports film including an evil opposition coach who does not mind a little foul play, and an injured hero who will have to overcome personal pain to deliver team victory. It’s a pity that these two come with so much padding that it feels unworthy of the effort. 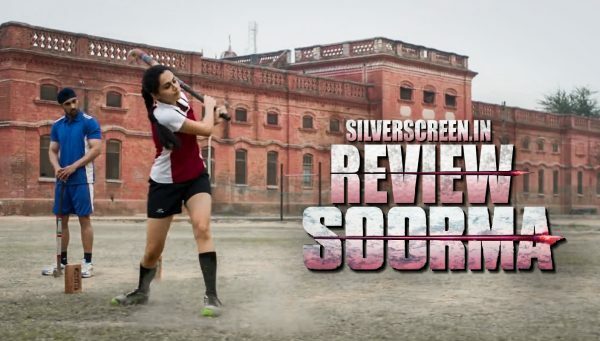 The Natpe Thunai review is a Silverscreen original article. It was not paid for or commissioned by anyone associated with the movie. Silverscreen.in and its writers do not have any commercial relationship with movies that are reviewed on the site.